The island of Cyprus is a mind boggling mixture of cultures. The Greek, Assyrian, Persian, Roman and Turkish cultures have all left an imprint on this beautiful and intriguing island. Its ancient history, dating back centuries, can be experienced in the ruins, ancient villages and medieval castles that dot the landscape. At the same time, one can experience all the luxuries and amenities of modern times. Since the financial crisis that shook the island in 2013, Cyprus has not only just gotten back on track, but is racing forward with new development in its capital city and resort towns. We will start our exploration with the divided capital city of Nicosia, or Lefkosia. It is rather confusing that this city goes by two names. Historically, it was Lefkosia, or Lefkosa in the Turkish version, but Nicosia is the name it was given by its European conquerors. In 1995, it was decided that the official name, when written in the Latin alphabet, would revert to its original, a change which has not seemed to have completely taken effect internationally. As it turns out, most of the travel information one is likely to encounter, uses Nicosia. We will do the same. A highlight of any visit to Nicosia is the Cyprus Museum. Packed full of ancient art and artifacts, the museum traces the island’s history from the neolithic age through the Ottoman era. This museum should top the list of things to see, even if you are based at one of the resorts on the coast. The old city is encircled by Venetian fortifications. Most of the walls, towers and gates are well preserved. The Famagusta Gate is particularly impressive and the Paphos Gate and Roccas Bastion, which are located at one of the narrowest points of the ‘Green Line’, are decorated with the four flags of the two Cyprus Republics, Greece and Turkey. Inside the walls are Ottoman era houses, restaurants, boutiques and countless shops. Ledra Street, the main thoroughfare, runs through the Green Line and was barricaded by a wall until March 8, 2007. The area had to be cleared of mines and other safety risks before it could be opened as the 5th crossing point between the two republics on April 3, 2008. 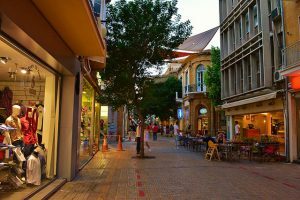 Around the pedestrianized Ledra Street are numerous narrow and windy streets. In contrast, Eleftheria Square, designed by the late architect Zaha Hadid, is scheduled to open this summer if there are no delays. This dramatic and controversial project was conceived as a way to connect the old city and its fortifications with the modern part of the city. 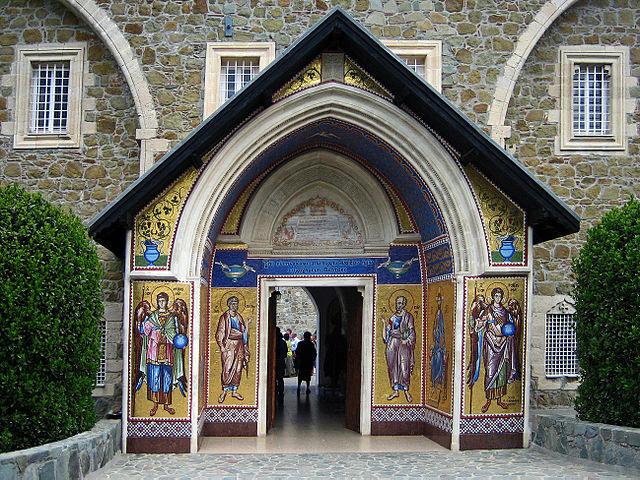 Other museums worth visiting include the Byzantine Museum, which contains religious artwork and Christian icons, and the European Museum of the Year winner, the Leventis Museum, housed in an old mansion, which displays the history of Nicosia. The Omeriye Mosque is the main place of worship for Muslim visitors traveling to the southern section of the city. 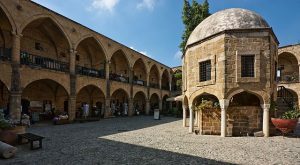 It was built by the Lala Mustafa Pasha, the Ottoman commander in the 16th century after the Turkish conquest of Cyprus and is open to the public. The Arab Ahmet District is located in the northern, or Turkish part of the old town. Highlights of the area include the Büyük Han, built in 1572. A han is a structure built to offer accommodation and storage for traveling merchants. It would include stables, Turkish baths, eating establishments and whatever would satisfy the traveler’s needs. Today the building houses shops and cafés for the general public. The Selimiye Mosque, built in 1326, was originally the gothic Church of Agia Sofia, but has been a mosque since the 16th century. The Mevlevi Tekke Museum has a fascinating exhibit about the famed ‘whirling dervishes’. 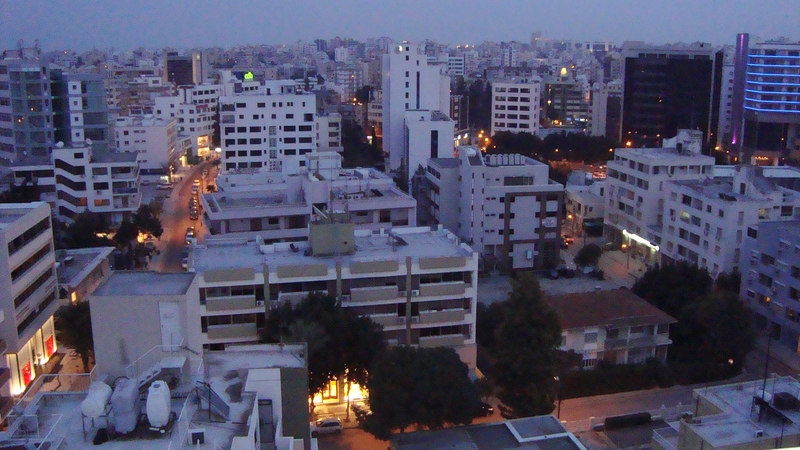 The second largest city in Cyprus is Limassol, located on Akrotiri Bay. The sunny southern coast draws a lot of visitors searching for a seaside vacation and Limassol has all the right stuff. There are luxurious hotels, a bustling seafront lined with cafes and bars, plenty of shopping and a beautiful yacht filled marina. 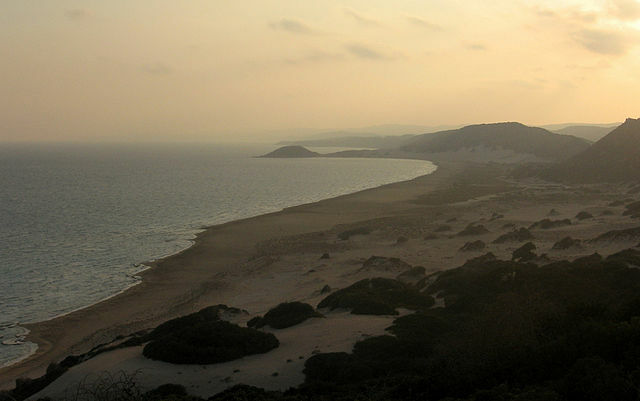 Dassoudi Beach is the main beach in the city, but there are more, less crowded beaches to the east, west and south. There is also plenty to see in the old town. Limassol has long been a major port and boasts a centuries old castle containing a medieval museum as well as an archeological museum. Just outside the city is the Kolossi Castle, a relatively small but stunning castle once held by the Knights of St. John. The city has a reputation for its festivals, which include the ten day Limassol Carnaval, with its parades, fancy balls and nightly parties and the Wine Festival of Cyprus at the Municipal Garden which takes place in early September. There is also a flower festival, Shakespeare festival, ancient Greek drama festival and a beer festival. 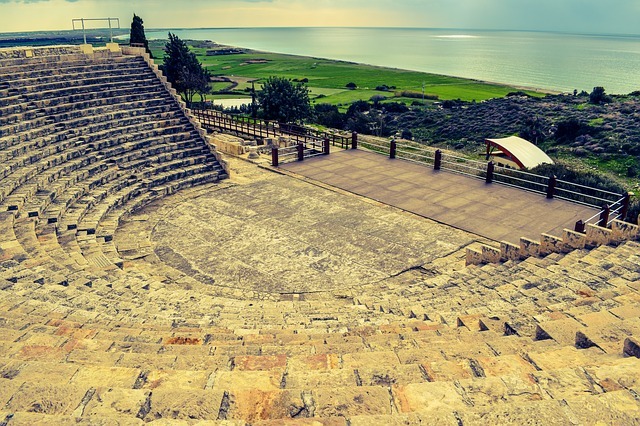 Not far from Limassol is Kourion, one of the most stunning sites on the island. The ruins of this ancient place sit atop a cliff overlooking the sea below as well as the surrounding countryside. There is a lot to see, but the amphitheatre and House of Eustolios with its well preserved mosaics are highlights. 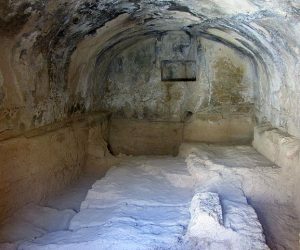 Larnaca, once known as Kition is generally considered to be the oldest city in Cyprus. It is also number nine of Europe’s oldest cities. The country’s primary airport is located here and it is a popular seaside resort, but the city can trace its history back to the 13th Century BC. 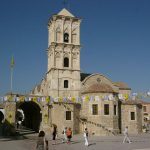 Larnaca, the third largest city in Cyprus, is known for its striking, palm lined seafront, medieval fort and the Church and tomb of Lazarus, who according to the bible, was raised from the dead. He lived in Kition for 30 years after that and became Bishop of the city before he died again. The Archeological and Byzantine Museums, as well as the ruins of Kition and giant Kamares Aqueduct, built in 1746, will put you in close contact with the city’s long history. The Hala Sultan Tekke Mosque is located aside Larnaca’s Salt Lake, just outside of the city. The mosque was built by Ottomans in 1816 and is an important Muslim pilgrimage site. The lake, which hosts a large flamingo population, completely dries up during the summer, leaving only a layer of salt. West of Larnaca is the beautiful village of Lefkara. Perfect for strolling through winding alleys, the town is known for its lace production. 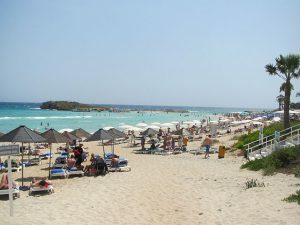 Other popular locations on the southern coast include Agia Napa, east of Larnaca, which has the island’s most beautiful beaches and a 16th century monastery, Cape Greco, the most southern point of Cyprus, which has excellent hiking trails and stunning views, and Protaras, a popular resort town with beautiful waters and white sand beaches. 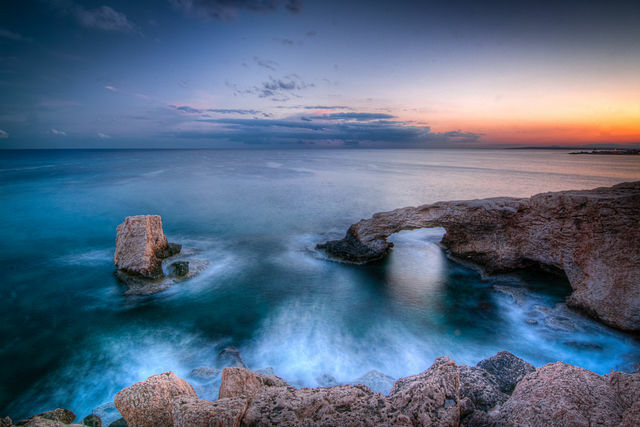 Paphos is the birthplace of the Goddess Aphrodite. 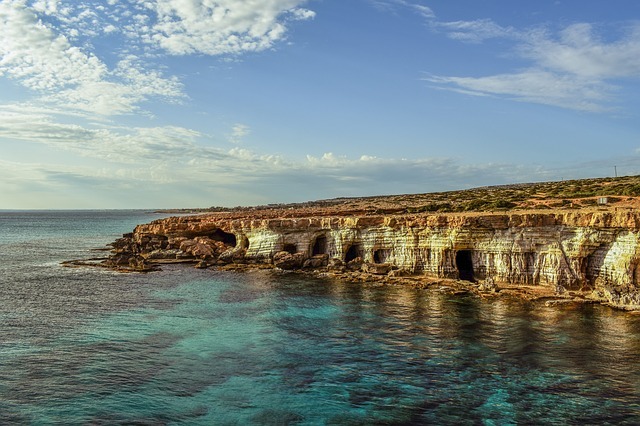 Located on the western coast of Cyprus, Paphos is full of ancient wonders for the visitor to explore. 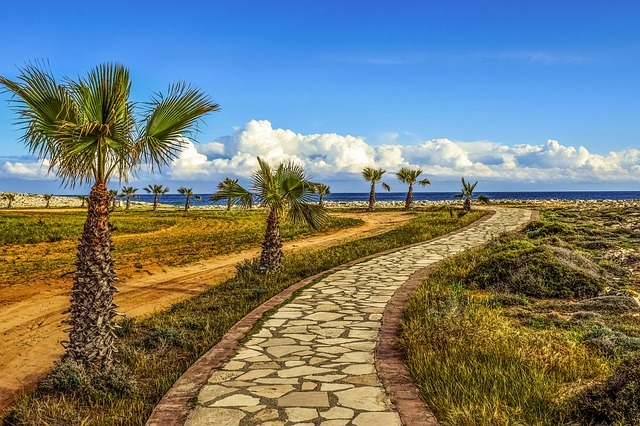 Old Paphos, near where Aphrodite is said to have risen from the sea, is know called Kouklia. It is a few miles away from the newer city of Paphos, which was built around a natural harbor. The two locations have many exciting sites, starting with Petra tou Romiou, the ‘Rock of the Greek’, where Aphrodite emerged from the sea. The old Paphos, or Kouklia, was the center of the cult of Aphrodite and was known throughout the Mediterranean. The ancient ruins include the remains of the sanctuary of Aphrodite, city structures and fortifications. There is a museum near the ruins which displays many artifacts discovered at the site. The new city of Paphos is beyond impressive. The city is divided into a lower city, ‘Kato Paphos’, by the harbor, which has most of the archeological sites, tourist hotels and nightlife, and an upper town, ‘Ktima Paphos’, which is where the shopping, market and administrative buildings are located The impressive array of attractions includes the eight ‘Tombs of Kings’, the Odeon, which is a Roman amphitheatre where live performances are still held, the medieval Paphos Castle, restored Roman villas, including the House of Dionysus, with stunning mosaics, St. Solomon’s catacombs, a covered bazaar, grand mosque and churches. There is also a shopping mall, a water park, plenty of bars and clubs and sea caves, beaches and trails along the water. The city is a UNESCO heritage site and is a European Capital of Culture City for 2017 along with Aarhus, Denmark. Paphos is also an excellent departure point for visiting some of the nearby attractions such as the 12th century Agios Neophytos Monastery, the beautiful Avakas Gorge, Cedar Valley, with its hiking trail and 130,000 cedars, Chrysochou Bay, one of the most pristine stretches of shore on the island, located in the Akamas Peninsula Nature Reserve and the famous Baths of Aphrodite, where the Goddess would bathe in the pools of a natural cave. 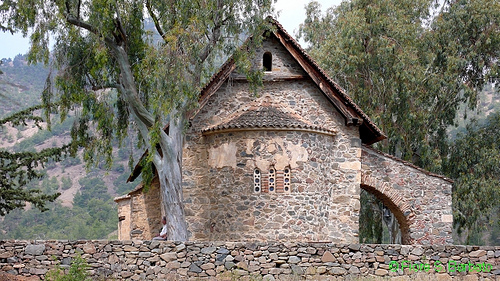 The imposing Troodos Mountains offer a variety of sights and activities. Some of the most picturesque villages and monasteries can be found clinging to hillsides, nestled in green valleys or perched atop mountain peaks. The highest peak is Mount Olympus, whose summit rises to over 6,400 feet. There are four ski slopes, and the region receives plenty of snow during the winter months. 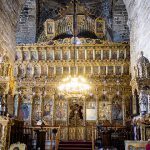 Highlights include the Kykkos Monastery, the small, but stunning Church of Archangel Michael, countless other churches with beautifully preserved frescoes and murals, quaint villages, numerous hiking trails and the beautiful Caledonia Waterfalls. There are many spectacular sights to be found in the Turkish part of the island. 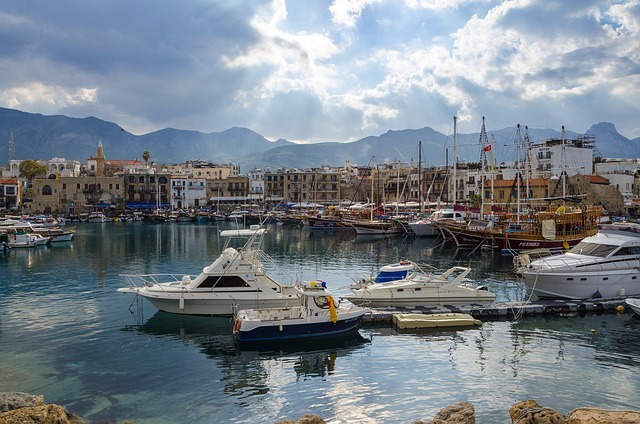 Kyrenia, a port city on the north coast awes visitors with its picturesque, horseshoe shaped harbor, winding cobblestone streets and grand castle. Inside the castle are historically decorated rooms, passageways and a shipwreck museum. The view of the harbor from the Venetian tower is spectacular. 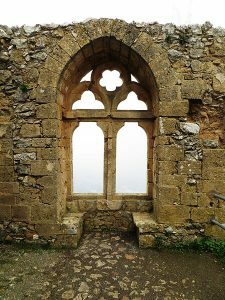 The remains of St. Hilarion Castle are built high on a cliff overlooking a pass in the Kyrenia mountains. Parts of the castle date back to at least the 8th century, with the rest being expanded and fortified by the Lusignan’s during the 13th Century. There are claims that its fairy tale setting and appearance inspired the castle designs of both King Ludwig of Bavaria and Walt Disney’s Magic Kingdom. There are also claims that it is haunted. 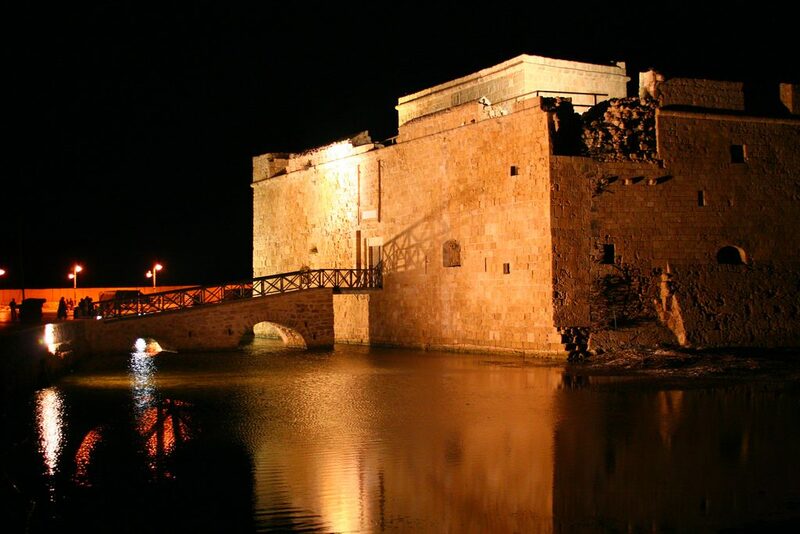 It is located about 20 minutes from Kyrenia and continues to be one of the island’s most popular sights. Bellapais Abbey is an Augustinian monastery built in the Lusignan Gothic style. The ruins, arches, stately cypress trees and magnificent sea views to be found at this 13th century structure are located at the small, whitewashed village of Bellepais, only a few miles from Kyrenia. 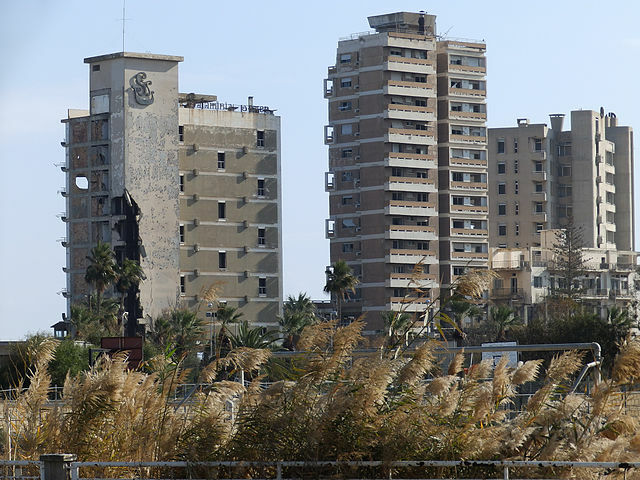 The city of Famagusta was founded around 274 BC. Originally a fishing village named Arsinoe after Ptolemy II’s sister, it took on greater importance during the Lusignan era. Later, it was the Venetians who built the city walls, incorporating the Othello Castle, which is said to have inspired Shakespeare’s famous play. 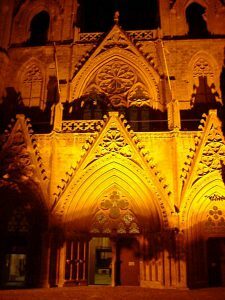 Under Ottoman rule, the Gothic Cathedral of Saint Nicholas was converted into the Lala Mustafa Pasha Mosque. The ruins of the ancient city of Salamis are four miles to the north. Salamis was at one time the capital and most important city of Cyprus, but was destroyed by a series of earthquakes in the 4th century. This actually led to the founding of Famagusta. The ruins of Salamis include colonnades, statues, baths, a 15,000 seat theater and preserved mosaics, making a visit well worthwhile. Famagusta has the deepest harbor on the island and for many years was the favored stopping point for cruise ships. Beaches, resorts, casinos and plenty of night life drew many visitors to this vibrant and intriguing city. The Turkish invasion, however, resulted in an entire section of the city being abandoned and fenced off from visitors. Varosha was the section of the city where most of the ethnic Greek population resided. It was a wealthy area with many hotels, apartment buildings, mansions and shops. For over forty years now, it has been a ghost town guarded by soldiers. Although the port is still used for commerce and some passenger vessels, it is now largely neglected. There are tours available that will take you to Varosha. It is not possible, however, to enter the area and visitors are not allowed to take any photographs. A glance at any map of Cyprus will show that there is a long peninsula extending towards the northeast. This is the sparsely populated Karpass Peninsula. Although there are scattered ruins, churches and monasteries, it is most appreciated for its natural environment. 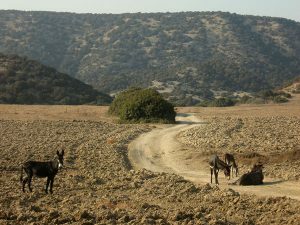 There are wild donkeys that roam the area and life in the quiet villages revolves around farming and hunting. The remote and unspoiled Golden Beach is one of the longest and wildest beaches to be found on the island. It is hard to imagine a place that offers more history, beauty, variety and things to do and see, than Cyprus. Aphrodite found quite an amazing place when she emerged from the sea.